Home Entertainment There are 53 products. 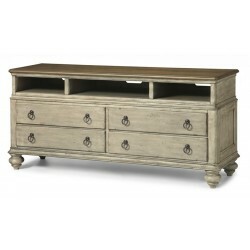 Shabby chic design with a bit of vintage The Plymouth entertainment base boasts a shabby chic design with contrasting wood finishes and paneled construction. With an overall whitewash finish accented by a dark surface, Plymouth is ideal for those who like a bit of vintage design in their modern lives. The Harbor View Entertainment Wall features casual cottage styling that will be in style even if you don't live by water. 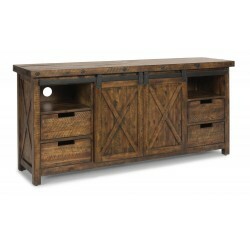 The entertainment center includes the center TV console, left and right pier units, and light bridge.